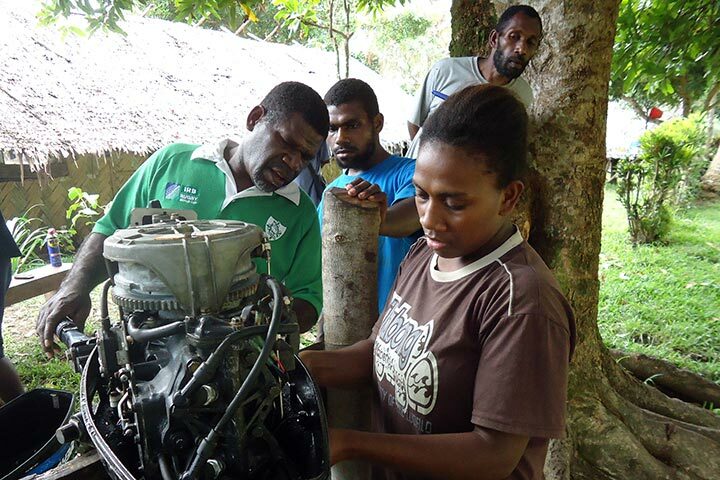 The Vanuatu Skills Partnership integrates cross-cutting issues into its work streams, with a focus on gender equality, disability inclusion and climate change resilience. Women in Vanuatu are key contributors to society and are seen as those who hold families and communities together. 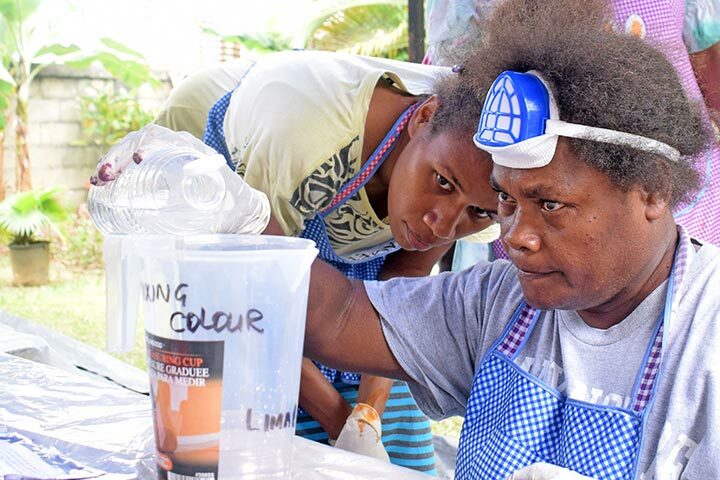 While women are increasingly entering the formal economic sphere in Vanuatu, realising their full potential and contribution is hindered by a number of barriers and prevailing gender norms. The Partnership collaborates with Pacific Women (PDF) particularly in the areas of women’s economic empowerment, women in leadership and language, literacy and numeracy. 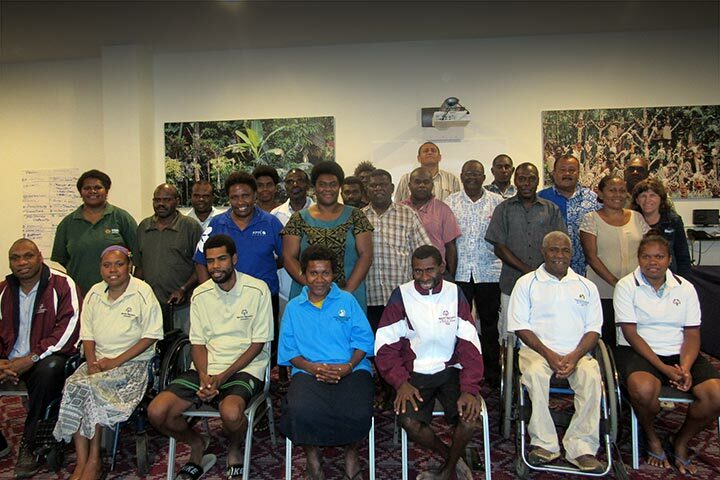 Disability inclusion efforts by the Vanuatu Skills Partnership are guided by the twin-track approach, as outlined in the Australian Government’s Development for All strategy, and utilise both mainstreaming and disability specific approaches. 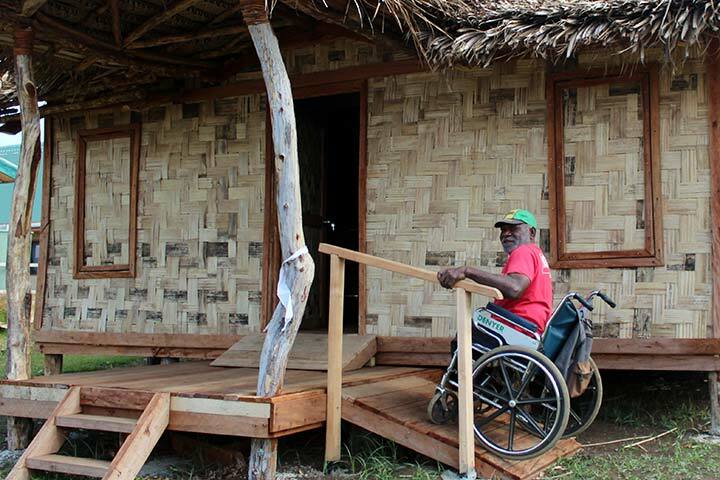 Mainstreaming efforts seek to identify and overcome barriers to participation by people with disabilities in all aspects of the Vanuatu Skills Partnership’s work and build access and inclusion across these. Mainstreaming requires strong collaboration with key stakeholders across a range of different sectors, professional development, and the joint identification of strategies to overcome barriers. Disability specific activities promote equitable access by providing targeted support to identify and improve access to the particular accommodations and services required specifically by people with disabilities. These are often fundamental supports, without which inclusion might be challenging or even impossible, and can include provision of transport, accessible venues, a sign language interpreter, or caregiver support. The meaningful engagement of people with disability is fundamental to the development of effective, appropriate and realistic mainstreaming and disability specific approaches. The Vanuatu Skills Partnership works in close association with Vanuatu’s Disabled People’s Organisation (DPO), Vanuatu Disability Promotion and Advocacy Association, as well as with Vanuatu’s main service provider, Vanuatu Society for People with Disability, and the Government of Vanuatu’s disability focal point, situated within the Ministry of Justice and Community Services. The livelihoods and social structure of the ni-Vanuatu people are inextricably linked to the natural environment and its resource base. Over 80 per cent of the population derive their livelihoods from weather-sensitive industries (agriculture, fisheries and tourism), and as such, any changes to weather, environmental services or availability of natural resources have direct impacts on livelihoods, wellbeing and poverty levels. The Vanuatu Skills Partnership is developing a climate change strategy for the operations of the Skills Centres under the MoET. A key aspect of this strategy is how the Skills Centres, working with their industry and departmental counterparts, will mainstream contextualised climate change adaptation and mitigation strategies into all relevant training activities across the tourism, handicraft and agribusiness sectors. The Vanuatu Skills Partnership has a long history of stimulating institutional reform within the Government of Vanuatu and will continue to work at this institutional level with key partners on climate change. 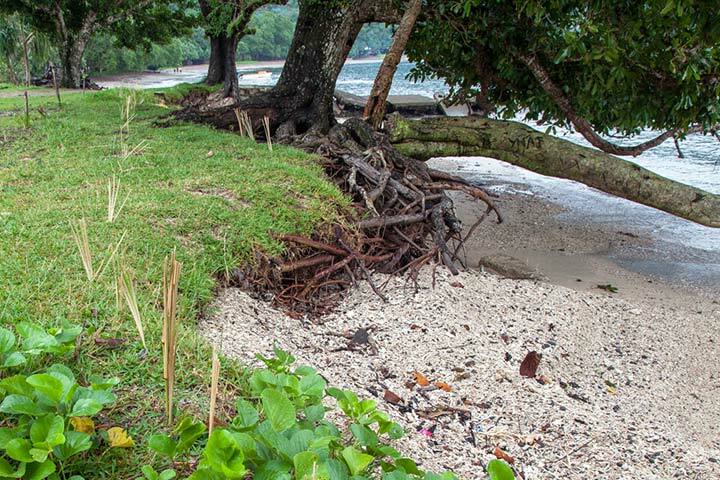 This will also include collaborating with organisations such as the Vanuatu Climate Action Network (VCAN) and the Vanuatu Business Resilience Committee (VBRC), to ensure that the skills sector is actively included within climate change planning and policy-making at national and provincial levels.